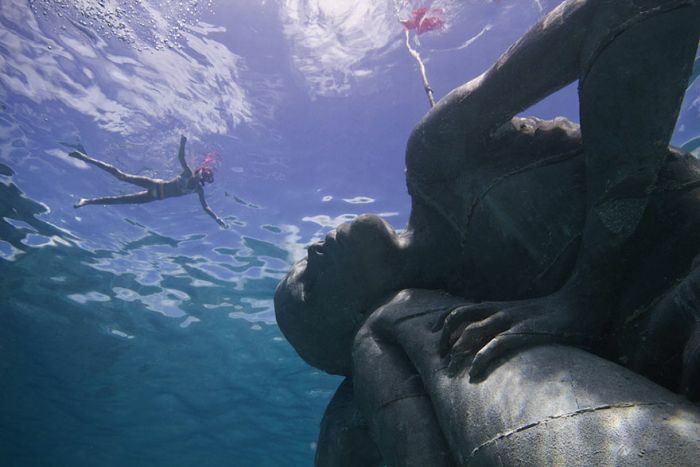 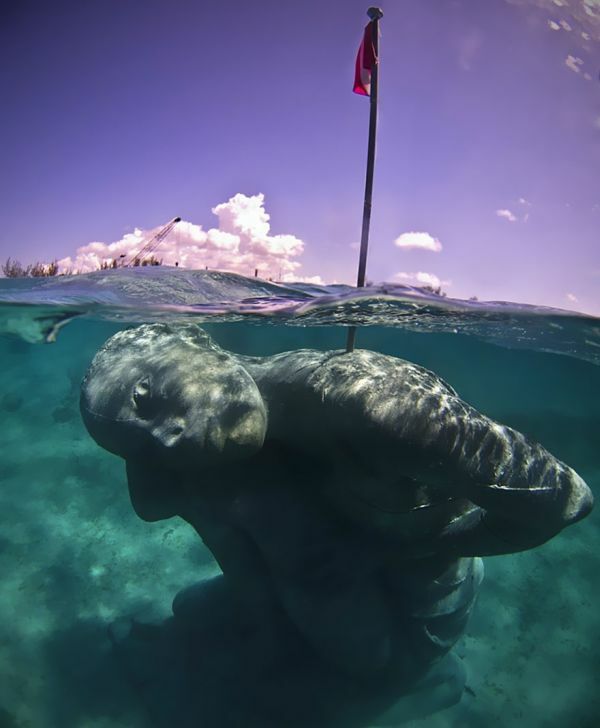 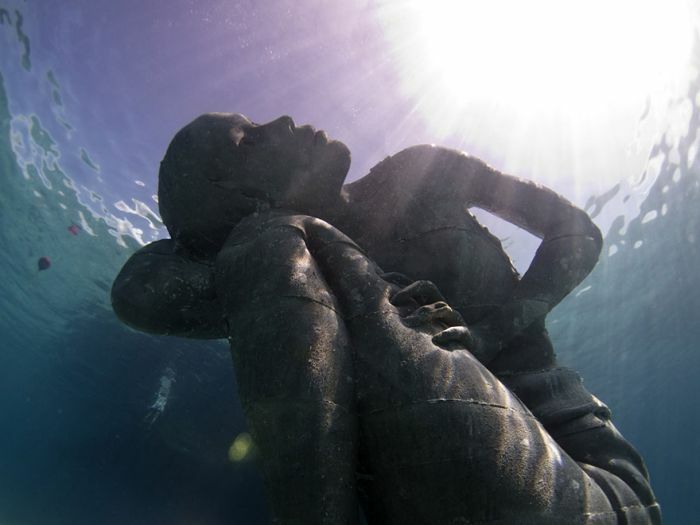 Jason deCaires Taylor creates giant statues and his latest statue is called "Ocean Atlas." 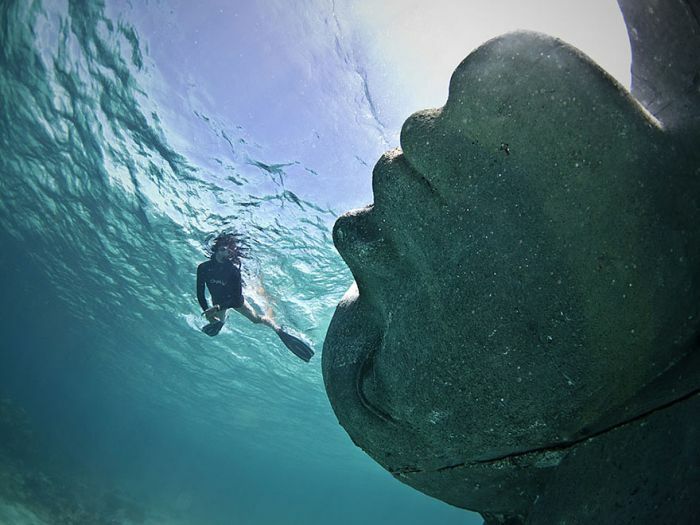 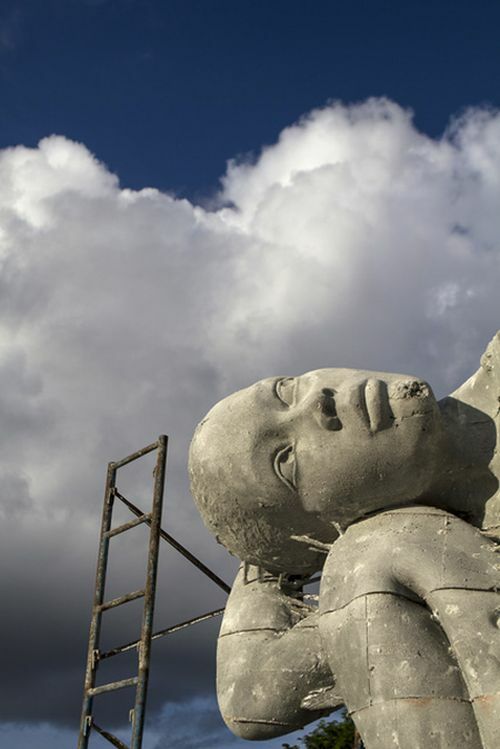 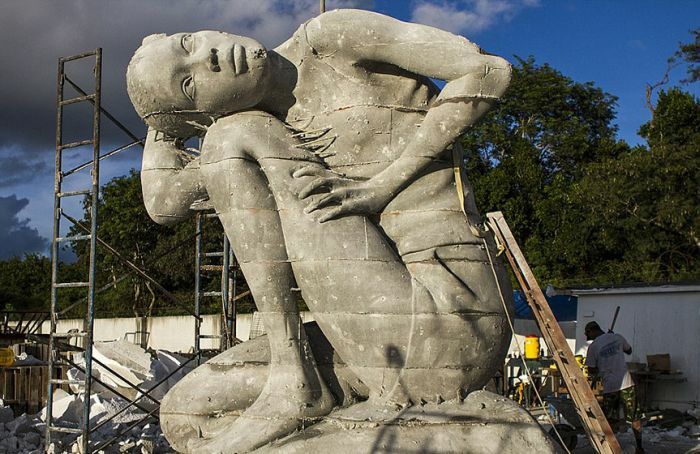 It's located off the coast of the Bahamas and features an 18 foot tall girl weighing six tons holding the ocean on her shoulders. 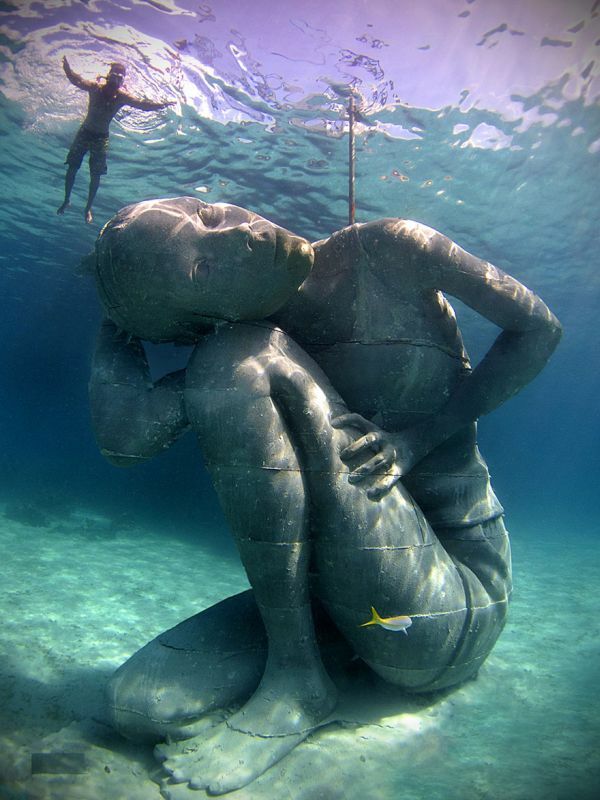 It's almost surreal to look at. 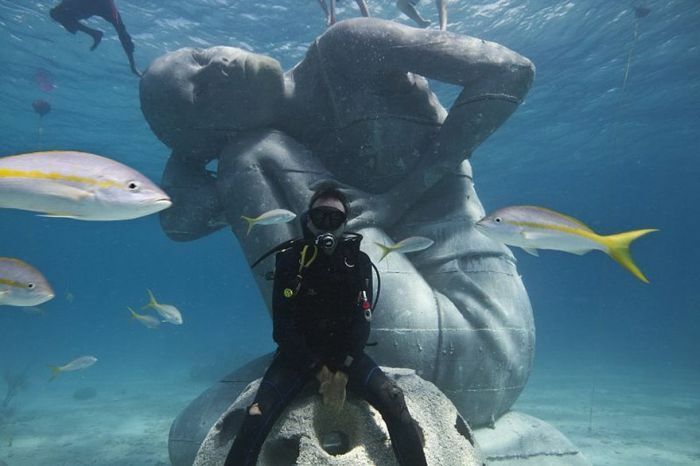 it will look great once ocean lift starts to grow on it.